bob Mckercher, hilary du cros, "Cultural Tourism: The Partnership Between Tourism and Cultural Heritage Management"
- cultural and heritage assets in tourism sites such as the Royal Palace in Bangkok, the Cook Islands, and Alcatraz Prison in San Francisco. 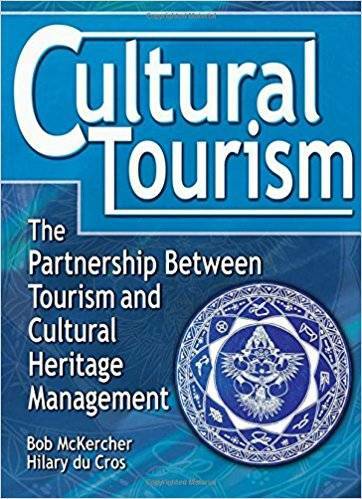 Though tourism and cultural heritage management professionals have mutual interests in the management, conservation, and presentation of cultural and heritage assets, the two sectors operate on parallel planes, maintaining an uneasy partnership with surprisingly little dialogue. 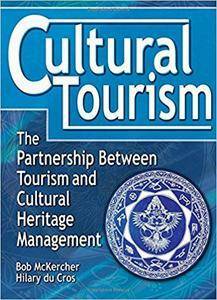 Cultural Tourism provides professionals and students in each field with a better understanding of their own roles in the partnership, bridging the gap via sound planning, management, and marketing to produce top-quality, long-lasting cultural tourism products. Now translated into simplified Chinese.